It is a known fact that early Earth's atmosphere had a high Oxygen level. However oxygen, at the molecular level destroys chemical bonds. Yet without oxygen there can be no Ozone, which protects molecules from Ultraviolet radiation which also destroys molecules. If you destroy molecules, none of the building blocks to life can even assemble for evolution. "An atmosphere containing free oxygen would be fatal to all origin of life schemes. While oxygen is necessary for life, free oxygen would oxidize and thus destroy all organic molecules required for the origin of life." 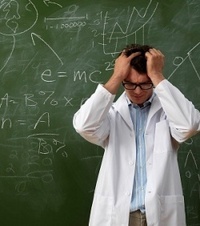 --Dr. Duane Gish,(PhD BioChemistry)"A Few Reasons an Evolutionary Origin of Life is Impossible." Darwin's Missing Links are STILL Missing!! After 200 yrs of looking Science have yet to find any of the TRANSITIONAL FORMS that would prove evolution ever occurred. 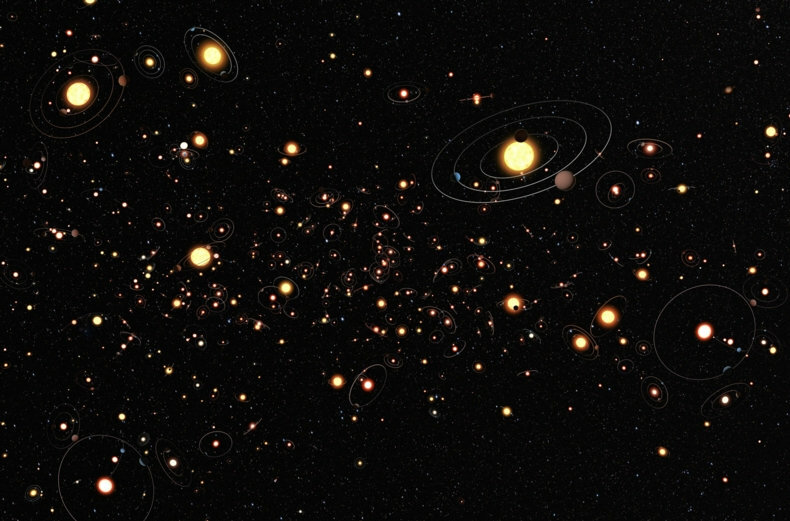 Assuming 1.2 billion years of evolution occurred, we should quite literally be tripping over transitional fossils between ALL the different KINDS that are out there. Instead Science has found NOTHING. Even human evolution is missing ALL its TRANSITIONAL FORMS, as all proof of transitional forms like Lucy have been proven HOAXES. C-14 present in ALL fossils indicate they are young!! Fossils are petrified ORGANIC MATERIAL encased sedimentary soil subjected to extreme pressure that squashed it into sedimentary rock. 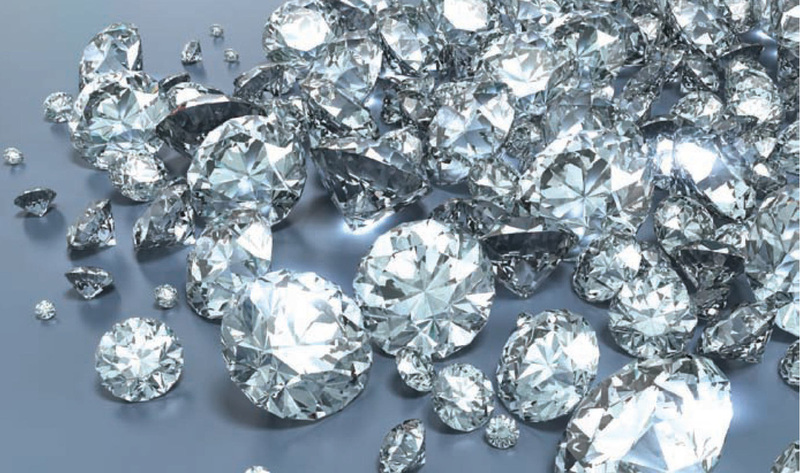 Petrification does not change the organic remains but merely stiffens them due to filling of pores by the water deposited minerals. The only proper dating method for ORGANIC MATERIAL is C-14, not radiometric dating which is for rocks only. The maximum theoretical detection limit for C-14 is about 100,000 years but the realistic detectable limit is 40-50,000 years. This means if any item that has any detectable amount of C-14, automatically has to be younger than 40-50,000 years. Any older and there is no detectable C-14. Any C-14 reading of 1 million years or more are automatically INVALID because the there isn't enough C-14 to detect with our best instruments. 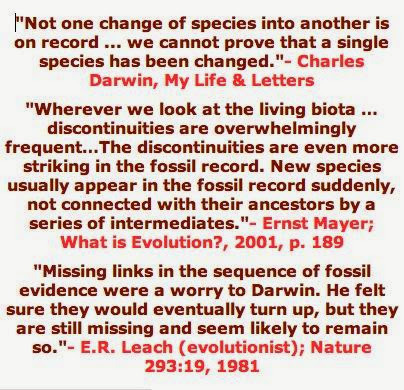 More recently evolutionist claim that C-14 is only accurate for ages of LESS THAN 20,000 years. Evolutionist GUESS life is 3.8 BILLION yrs old and earth 4.6 BILLION yrs old. The sun burns approximately 5 million tons of "fuel" per second. As it burns, it shrinks. (no the sun doesn't create new Hydrogen atoms) It is shrinking by 5 ft in diameter each hour. 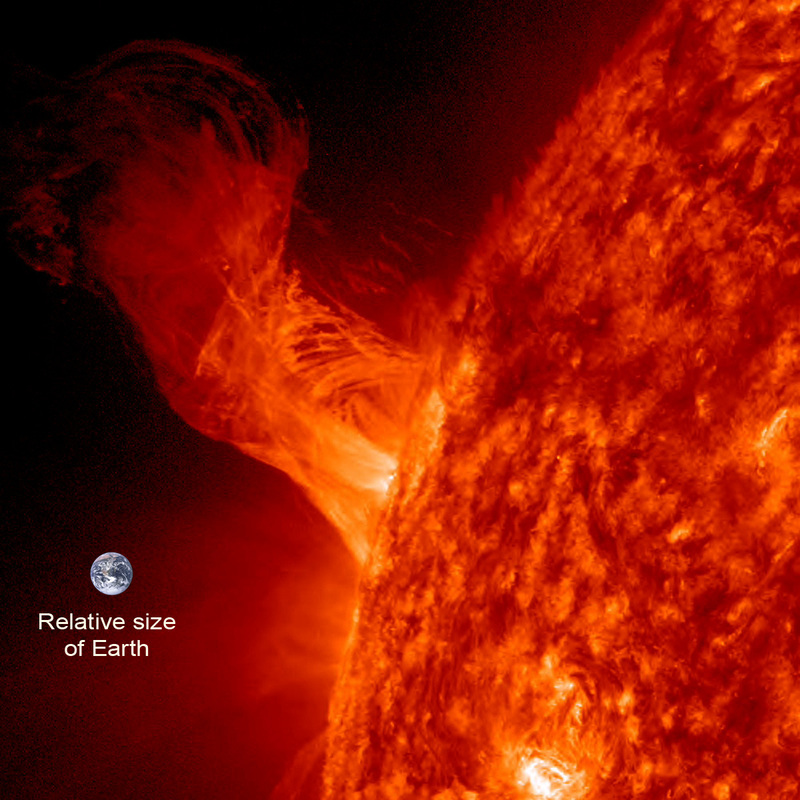 Therefore the sun used to be much bigger than it is now. And the bigger it was the more mass it had, which by the law of gravity, means the sun's gravity was stronger. If the earth was even 20 to 40 million years old (scientist claim earth is 4.0-4.2 billion years old), the sun would have been touching the earth! Far too hot to support any life at all. Ref: http://www.icr.org/article/sun-shrinking/ | Sun is Losing 5 Feet of Diameter Every Hour | What’s the Quicker Solar Weight Loss Plan: Solar Wind, or Nuclear Fusion? The moon is moving away from the earth every year (3.8cm or about 1.5 inches). Which means it used to be closer. Using the Inverse Square Law says: 1/2 the distance, 4 times the attraction. Therefore the moon 2 million years ago would have been so close that the tides would have completely flooded the earth 2 times each day. Life would not have been able to evolve under that kind of circumstance. If the earth is only 6,000 years old, there’s no problem, because in that time the moon would have only moved about 750 feet (228 m). But most astronomy books teach that the moon is 4.527 billion years old, which poses a major dilemma—less than 1.5 billion years ago the moon would have been touching the earth! 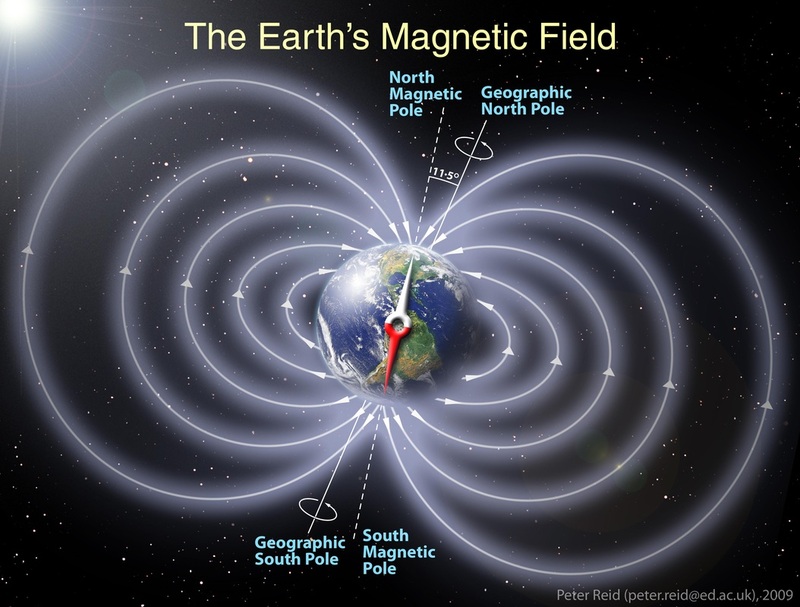 The magnetic field around the earth is getting weaker. Which means it used be stronger. If we going back only a few millions of years ago, the magnetic field would have been so strong no life would have survive. 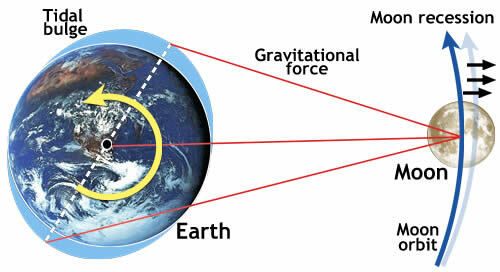 If the Big Bang started with a spinning singularity that exploded, then according to the Law of Conservation of Angular Momentum, everything that came from that spinning singularity must be spinning in the same direction. 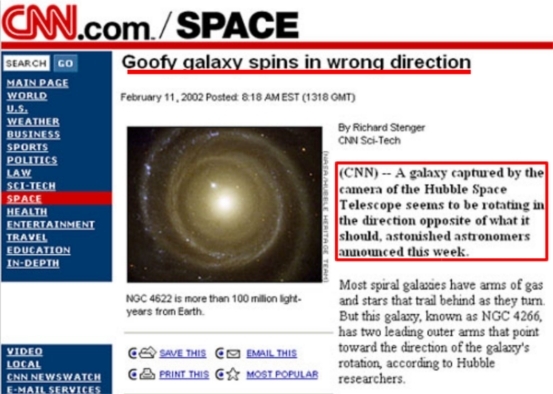 Many whole galaxies are found to spin backwards. Animal eyes are superior to the human eyes in many ways. But the eye in of itself is an engineering marvel. The eye can distinguish among seven million colors and does the equivalent of a billion operations per second. It has automatic focusing and handles an astounding 1.5 million messages -- simultaneously. It can handle going from high to low light in a fractions of a second. There is no explanation for how this organ could simply evolve or happen by accident. Nor can it be explained why all creatures with them always have a pair of them. Current world population is about 7.2 billion people as of 2014. Man is supposed no less than 2.4 million years old and at most 7 million years old. 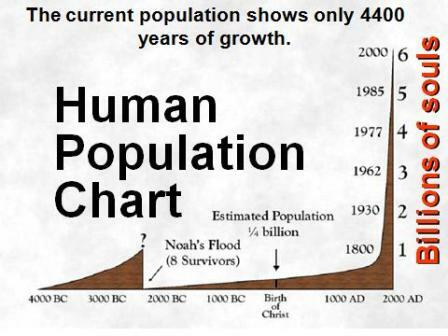 If you go back 3 million years and start with a population of 2, you'll come up with about 150,000 people per square inch. 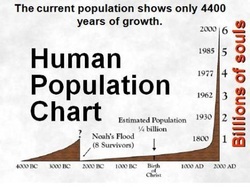 If you go back 4400 years and start at with a population of 8, you'll come up to 5-6 billion people by year 1999 or 2000. Oil in the ground is under extremely high pressure - 20,000 pounds per square inch (psi). 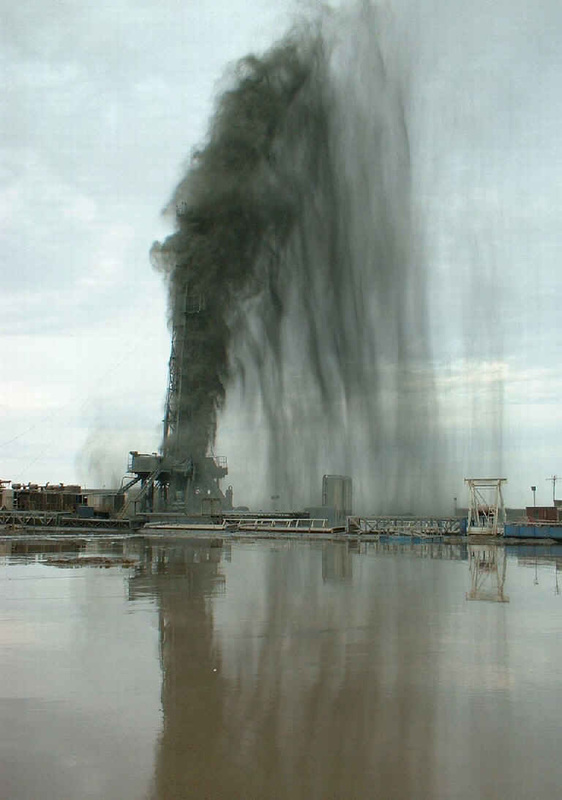 Scientist say this pressure should have cracked the rocks and caused the oil to leak out by 10 to 15 thousand years. DNA is made up of amino acids, which are easily destroyed by heat, light, radiation, alkaline conditions, sugar, electricity, and oxygen. Therefore DNA needs the protection of cell's nucleus to survive and can not have evolved first. A cell on the other hand can not survive without a nucleus for a long period of time. 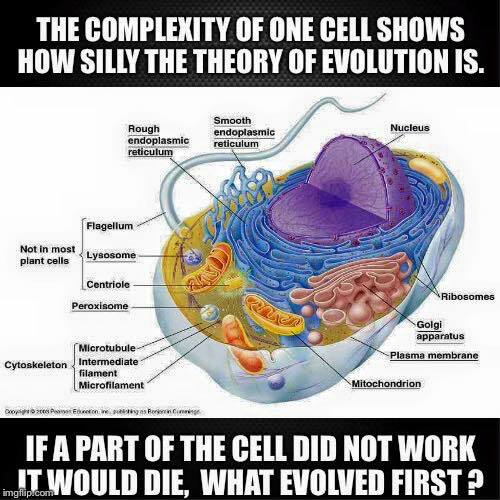 So this means the cell could not have evolved first either. It requires both cell and DNA to appear simultaneously as they are both dependent upon one another for simple survival. How does this fit with evolution's 3.6 billion years for a simple cell to evolve? The Earth seems alone to support LIFE. Scientist always seem to want to believe there HAS to be other intelligent life out in the cosmos. 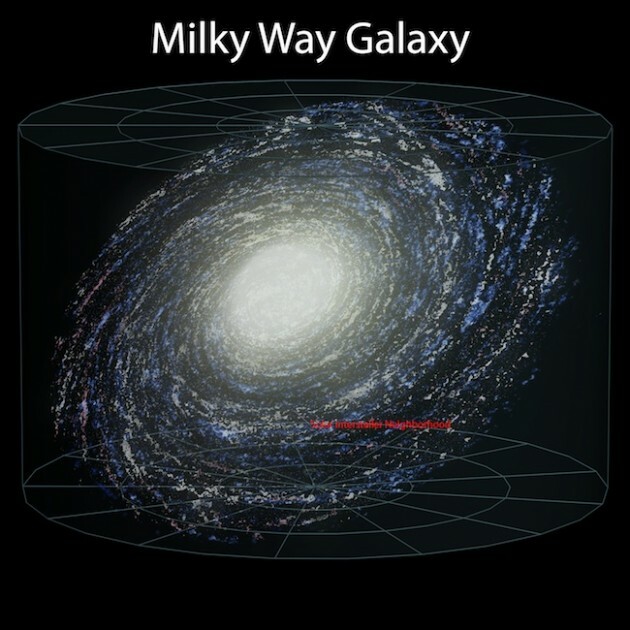 The argument goes that despite the near impossible odds, the sheer millions of stars out there should ensure that at least one of them should have intelligent life on it. However after decades of probing all radio frequencies and scanning the heavens, astronomers have been met with silence. Now as late as 2016 scientist have confirmed that Earth is indeed uniquely special, in that it alone has LIFE. This was something the Bible had known for over 2400 years. There is no scientific evidence that a species can change the number of chromosomes within the DNA. 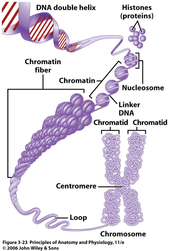 The chromosome count within each species is fixed. This is the reason a male from one species cannot mate successfully with a female of another species. Man could not evolve from a monkey. Each species is locked into its chromosome count that cannot change. If an animal developed an extra chromosome or lost a chromosome for any reason, they can not successfully mate. Perfect example of this is the mule(63), which is the sterile product of a donkey(62) and a horse(64). Even evolution's Coywolf, product of a coyote and wolf, proves to be sterile. However with the addition of dog DNA into the mix there is a chance they won't be sterile. The defect(evolution) can not be passed along to the next generation. Evolving a new species, for this reason alone, is scientifically impossible. Ref: List of organisms by Chromosome counts| Scientist create 50/50 Coywolf "(many turn out to be sterile)"
Knowing that science can not answer all these strange occurrence, wouldn't you rather believe in the God who is all powerful and so wise that He can even put to shame the wisdom of men? Who is this God, that you may know Him? He is Yahweh the only God of this universe. He created all things, put the sun and moon in their places. He dictates all things and in nature His handiwork can be seen. But unlike mindless nature, Yahweh wills things and has created all these peculiarities to show us He is real. Most of all He wishes that you have a relationship with Him. Not one of mindlessness and tyranny, but one of love and mercy. If you come to Yahweh you will not find judgment but rather forgiveness and understanding. He only askes you embrace Him by acknowledging you have sin and that you need a Savior before a holy and perfect God. This Savior is Jesus and all you need to do is accept Him as your Savior by believing in Him. Just pray this prayer and accept Jesus today.